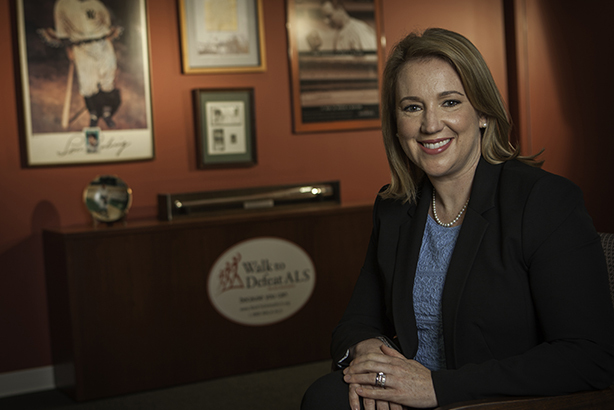 As the Ice Bucket Challenge went viral, Carrie Munk, chief marcomms officer for the ALS Association, kept cool to lead PR around a seismic social media fundraising effort. Last summer, the ALS Association raised $115 million on the back of a viral social media campaign the organization had not even started – the global phenomenon now known as the ALS Ice Bucket Challenge. As it grew in scale, the association’s chief communications and marketing officer Carrie Munk and her small team of five had to move rapidly to embrace a global campaign that was evolving exponentially in real time. "It was more intense than my experience at the American Red Cross after a national disaster," says Munk. An ALS Association chapter representative reached out to her last summer, Munk recalls, regarding a local trend that was picking up speed. People were dumping buckets filled with ice water on their heads in the name of ALS awareness, sharing the feat on social media and challenging friends to take part. In its earliest days, and still confined to mostly the New York and Boston areas, the #IceBucketChallenge prompted a $50,000 increase in donations to the association compared to the previous year. "We didn’t have any active campaigns in August," she adds. "That month isn’t even an active fundraising time, so once we saw that we all moved pretty quickly to respond." When the ALS #IceBucketChallenge started to sweep the nation, Munk’s time at the Red Cross helped her quickly pivot into an approach akin to "disaster mode." "It was all hands on deck," she explains. Internal comms proved crucial to keep the organization’s 39 chapters up to date at the outset – as it wasn’t yet widely known across the country – offering statements on topics such as embryonic stem cell research and animal testing. A public enquiry unit was set up to respond to the glut of media requests from local, national, and international outlets, Munk adds. Responsibilities across the team flexed to accommodate the rolling response the challenge quickly required. "During the height of the challenge in August, we were raising about $10 million a day," she notes. Munk put that number in perspective by adding that the association’s entire annual operating budget in 2014 was $25 million. Everyone on the team jumped in to handle media relations, Munk explains, and be part of an effort to "be responsive, embrace the campaign, and respond to public interest." The five-person PR team under Munk – in a Washington, DC, national office of about 55 – was always looking ahead during the campaign, updating content and deliverables to reflect growing awareness, she says. Munk, who reports to Barbara Newhouse, president and CEO of the ALS Association, says an ongoing push for the organization is conveying to the public what it does and why that matters. Integration of research, care services, and public policy each play a role in ending ALS – amyotrophic lateral sclerosis – she adds. One of the association’s hurdles during the challenge was dispelling misinformation on the Internet while the organization’s social presence increased by hundreds of thousands of followers. On Facebook, likes went from 30,000 to 300,000. In one instance, fringe site Political Ears had some supporters up in arms with claims that only a small portion of contributions were going to research. In response the group released a statement saying the association spent 79% of its budget on programs and services last year, which includes 28% on research. Donors wanting 100% of their donation to go to research could check a box on an online submission form. "We had to use social media to combat what was going viral," she says, "so we created a matrix where we addressed every erroneous piece of information and posted it on our website. Then we worked to get it out on social media." Munk has learned how to cope in crisis communications situations and is accustomed to high-octane situations requiring perseverance in the face of new challenges. As if responding in real time to a social media campaign sweeping the nation wasn’t enough of a crunch, factor in that Munk was weeks away from giving birth to her second child. "During the #IceBucketChallenge, everyone thought I was going to have the baby," she recalls. "I feel so fortunate every day that I get to be a working mom," adds Munk, who has a daughter and son. "I have the best of both worlds." Munk credits three young men battling ALS and their families with the popularity of the #IceBucketChallenge – PRWeek Communicator of the Year 2015 and former Boston College baseball star Pete Frates, Pat Quinn, and Anthony Senerchia, all of whom were diagnosed with the disease long before any of them would be considered a senior citizen. The viral sensation proved a powerful tool on the awareness front, opening the door for the group to reach out to the 2.5 million people making their inaugural donation to the cause. The craze also went global, with people in the UK and Ireland participating in the challenge for charity – with some funds going to motor neuron disease associations. 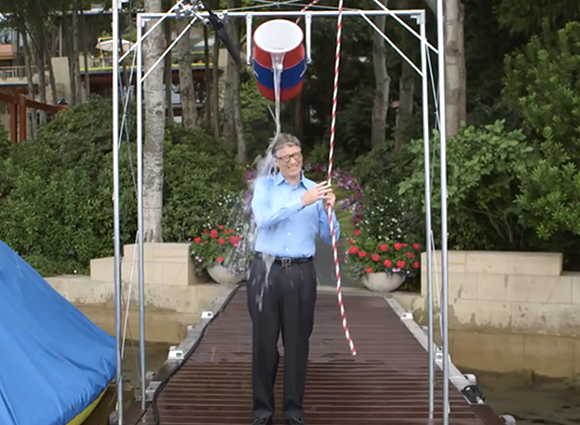 More than $220 million around the globe was raised for the fight against ALS. Ahead of dousing themselves in ice water for a cause, many US participants may not have known about the devastation of ALS and how it is essentially a death sentence, whittling away a patient’s remaining years to only a handful. ALS is a neurodegenerative disease that can cause complete paralysis, including rendering a person unable to breathe. The trio who became the collective face of the disease created "a sense of reality" for many people, Munk notes. "People are surprised to learn there’s no cure or that there are no treatments that can prolong life," she adds. "They were stunned to learn that veterans are twice as likely to develop ALS as the rest of the population." Treatment is expensive, too. According to the association, most major pharmaceutical companies have reached an impasse in efforts to develop new drugs for central nervous system disorders such as ALS. It costs an estimated $2 billion to develop a new drug and the only drug approved by the US Food and Drug Administration out there "only modestly extends the survival of people with ALS by two to three months," adds Munk. Awareness wasn’t limited to challenge videos. Citing Google, the ALS Association noted in a statement that "last August more people searched for information about ALS than in the entire last decade." #IceBucketChallenge in August. She adds that Quinn has said the challenge will happen annually "until there’s a cure." Munk also notes it’s been more than 75 years since Lou Gehrig spotlighted the disease with his departure from Major League Baseball and that the young men at the helm of today’s challenge have helped usher in a new generation of supporters. "The challenge is to increase understanding of the disease," she says, adding that engagement has included efforts to "really bridge the awareness to the understanding piece." Keeping people apprised of where the money is going has been a priority, too. "My experience at the Red Cross reinforced a commitment to transparency and that’s one of the reasons early on we decided to provide daily fundraising totals," Munk explains. "We have been committed to giving updates about how we’re spending the money." In October 2014, the association announced how the $115 million raised during the challenge would be used, citing "programs and initiatives to expedite the search for treatments and a cure," which Munk says has been, and continues to be, a main focus. The challenge enabled collaborations with ALS Accelerated Therapeutics, the New York Genome Center, and the Neuro Collaborative. During the campaign, The ALS Association engaged Porter Novelli for media support last summer and has also worked with Memphis, Tennessee-based advertising agency Red Deluxe, she says. Munk’s think-on-her-feet approach to crisis comms has long been her style. Chuck Connor, former president and CEO of the American Lung Association, where Munk served as VP of comms and marketing, touted her self-starter attitude, recalling Munk’s ability to effectively carry projects without any prodding or even much instruction. "I spent a lot of time in the Navy, and they have weapons that are called a ‘fire-and-forget’ weapon – all you have to do is shoot it and it will do the rest of the work," Connor explains. "That’s what I call Carrie. She is a ‘fire-and-forget’ person." ALS Awareness Month is held throughout May and the group built on the effort’s momentum to keep its network inspired, introducing Challenge ALS, a "pivot from the success of the previous campaign to create an engagement tool to offer new and different opportunities for people to get involved with the association," says Munk. The initiative includes walks and bike rides, volunteer efforts, and options for individuals to urge their representatives to support ALS-focused legislation – because as Munk notes, the government is the "largest funder of ALS research in the country." A recent Collaboration for the Cure meeting enabled 18 ALS-focused groups such as the ALS Therapy Development Institute, Muscular Dystrophy Association, and Team Gleason to "talk about areas where we can collaborate and forward the search to find a cure," says Munk. The inaugural meeting tackled topics including how the organizations could boost the number of patients listed on the National ALS Registry, creating and implementing a communications plan to support movement on ALS guidance, and talk of a task force devoted to access issues. "Our biggest challenge, not only in marcomms, but as an association, is how we respond and adapt to the new normal," says Munk. The #IceBucketChallenge boosted the association’s web traffic from roughly 20,000 daily visitors to 4.5 million at the peak of its popularity, with new daily traffic of about 40,000, says Munk. "Things that may have been key before in our marcomms have changed slightly," says Munk. "This has been a year of shuffling to determine how best we move forward." This includes ensuring the association’s platforms are mobile compatible, spotlighted by the fact that about half of all hits last summer originated from a mobile device, Munk explains. The group is working toward a complete redesign online, which she notes could take about 18 months to complete. "So many people were coming to our site just to learn about the disease," Munk explains. "It’s a huge opportunity to get people this information, but also to bring them in and engage them with more meaningful content." Munk, who joined the ALS Association in 2012, says the strategy put in place to embrace the campaign and respond to public interest built on the fly helped position the group as the leading organization on ALS. "When people looked online, read about the challenge, or saw it on TV, it was always the ALS Association and our 39 chapters giving interviews, providing information, and engaging people living with the disease." How Ascension's Nick Ragone is rebranding one of the biggest health systems in the U.S.